JR Farm Sun-Ripened Vegetable Mix is a low calorie snack made from carefully selected, sun-ripened vegetables. 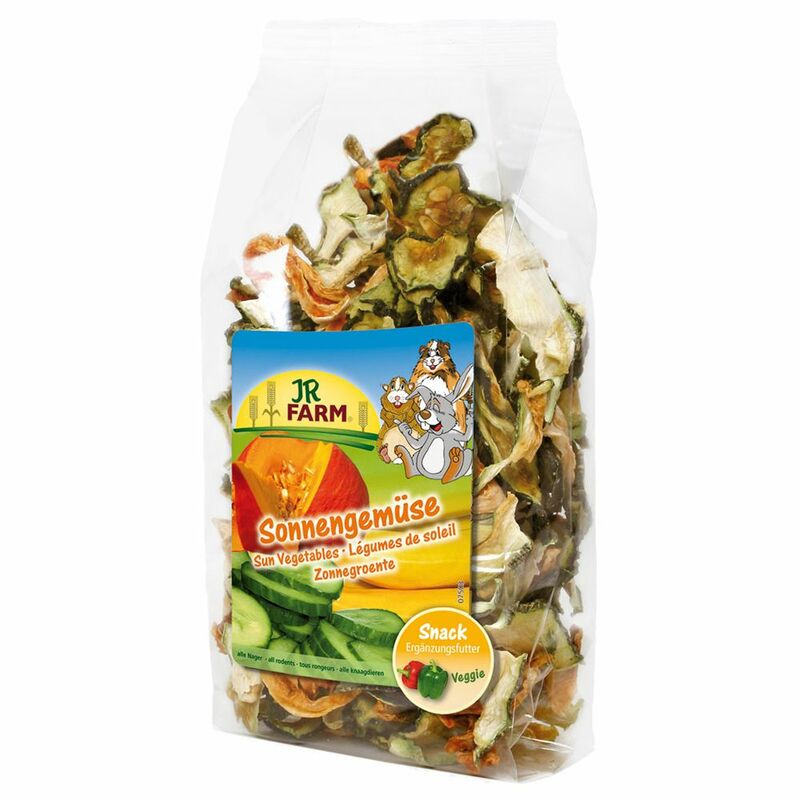 Dwarf rabbits and other small animals love to munch on cucumbers, courgettes and squash and these sun dried vegetables make a great nibble snack, packed full of natural vitamins and minerals. It is the perfect low calorie supplementary food for small pets. The tasty vegetables are high in fibre which helps to keep your pet's digestion in good working order. No additives!.